Experience the thrill of flying some of the world's most important airplanes and spacecraft. 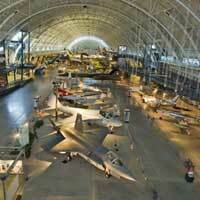 Best Of The National Air And Space Museum provides unprecedented access to the most popular museum in the world. The Smithsonian's National Air and Space Museum hosts more than 9 million visitors a year, and the newly opened Dulles Center –three football fields long and ten stories high – is a phenomenon in its own right: in the first week it was opened, some 250,000 people came through the doors. 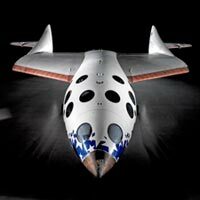 Best Of The National Air And Space Museum features the best of both museums, from the Challenger space shuttle and the Wright flyer to the Spirit of St. Louis and the stealth bomber. 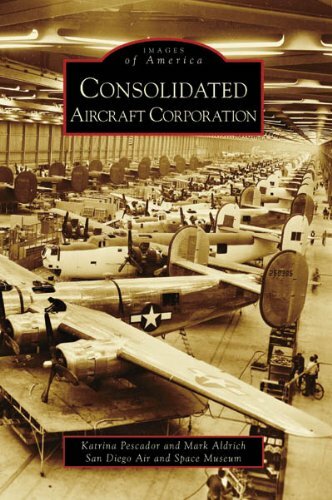 Bob Van der Linden, curator of aeronautics, has selected the most historically important, popular, and just plain impressive aircraft and spacecraft from the collections of both museums to be captured in the book's beautiful full color layouts. Each layout includes intriguing facts of the item's design, use, mission, specifications, and dimensions. It's like your own guided tour! I recently visited the Smithsonian National Air & Space Museum. It was the first time I'd been there since they moved into their current facility in the mid-1970's. It was breathtaking. The best way to describe the effect of walking in the main entrance is to envision the bedroom of a boy who hangs model airplanes from the ceiling. Only at the NASM, the "models" hanging from the ceiling are full-size. 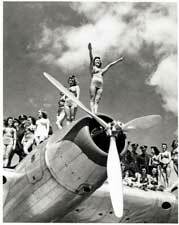 I was a model-building boy in the 1950's, and my favorites were planes I'd built from kits. Unfortunately, the museum was undergoing some of its regular updating and a few of my favorite planes weren't on view, such as the F89 Super Saber. Fortunately, that plane and most (if not all) the permanent collection are profiled in the Best of the National Air and Space Museum. If at all possible, visit the museum. If you can't get there, buy the book. Actually, buy the book in either case. You won't be disappointed. Great photograghs with well written copy. This book makes me want to go to this museum and see first hand the items displayed. Highly recommend!!! The goal of landing a man on the Moon and returning him safely to Earth required the development of three things: spacecraft, launch vehicles, and protective clothing. 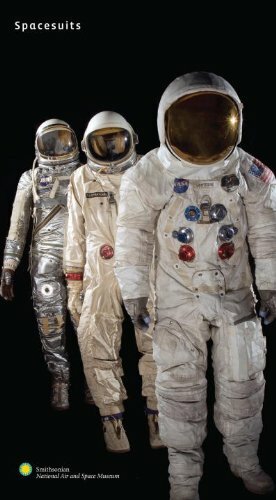 Spacesuits: Within the Collections of the Smithsonian National Air and Space Museum takes the reader through the development of the last category, the spacesuits used during this venture. Highlighting the pressure suits created during the years leading up to the lunar missions and beyond, this book features dramatic photographs of the Smithsonian’s collection, as well as never-before-published historical images of spacesuit development and testing—range-of-motion studies, for example, in which researchers wore spacesuits while playing baseball and football. The book also includes a group of advanced spacesuits, which, though never used on a mission, are in many respects the most exciting suits ever created. One suit glove has steel fingernails and sharkskin pads, in an attempt to harness the abilities of the human hand. What a wonderful book. Even though I worked on a stage as an engineer, I knew nothing about the space suits. During Apollo, most of us who worked on various components, never knew about our fellow workers or where they were. As it turned out, there were 400,000 of us and we were spread out all over the country. I heard some rumors about the space suits but really knew nothing until this book was published. 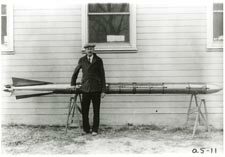 It has so much information and belongs in our National Air & Space Museum of the Smithsonian. The folks that designed and made the suits for Apollo and programs before were a marvel. No astronaut who wore these suits ever lost their life. That is an amazing achievement. This is a very historical book and I highly recommend it. My review will be short. I'm not an amateur space historian, nor have I read any other books about spacesuits and their design, so I can't compare this book to any others. I just thought it looked neat, and I was right. There are tons of pictures, and easy to follow text that's smartly written. The book also struck me as being very comprehensive, with all the different revisions of spacesuits over the years shown, without bogging you down with too much minutia. This is a superb compilation of picturesfrom departure of space age to shuttle space suits ; a complete explanation of developments and protoypeswith adaption and evolutions. A "clever" hanbook with x-ray view of spacesuits and details , a good way to understandand appreciate the difficulty of outer space work. Highly recommanded and a "must have" for thoose how want to unterstand space conquest. "Spacesuits" easily ranks in the top five most interesting and illuminating "space" books that I have read in several decades. And the pictures are equally fascinating too! A while back I had read that John Glenn's Mercury spacesuit had shrunk and is now very fragile. This didn't sound right. After all, common sense suggests that if these things are designed and built to withstand the rigors of outer space, they should last forever. Right? Museum Specialist Amanda Young starts off this saga by providing nicely detailed, but not burdensome, descriptions of the various spacesuit types and different models thereof in the Smithsonian's Collection. If you believe that you know all there is to know about U.S. spacesuits (like I did), you're in for one very big surprise. There are so many variations, not just of the suits themselves, but of the helmets and gloves as well, that it's a wonder anyone could keep track of them. A detailed listing of the suits in the collection appears at the end of the book. It is about 10 pages long and the font size is not large. 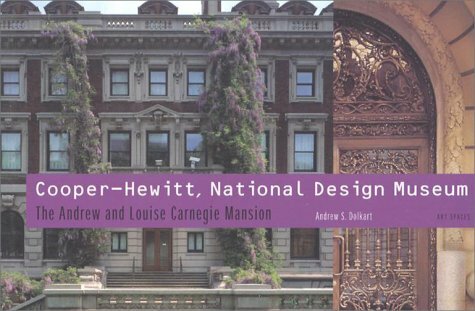 But where this book and Ms. Young really shine is when she discusses the problems of preserving and displaying these priceless national treasures. Her prose is clear, concise, and devoid of the baggage one usually sees when the writer is attempting to impress the reader. It doesn't take long to realize that the author is someone for whom these suits are not abstract objects. One can easily tell that Young has touched, examined, probed, and hefted spacesuits all the way from Alan Shepard's Mercury suit to Tom Stafford's Apollo-Soyuz suit. The deterioration of some of these suits is both devastating and disturbing. A picture on page 132 illustrates damage caused by an unnamed museum after they punched a metal rod through the boot of a spacesuit in order to put it on display! A comment about the pictures in this book, most are stunning. The crisp details and colors captured by Mark Avino are nothing short of breathtaking and his radiograph images that show the "insides" of the suits and gloves are surreal. Kudos to the publisher too, this book offers the most vivid, most colorful reproductions that I have seen since Joseph P. Allen's "Entering Space." The one fault that this book exhibits, besides its oddball 6-3/4 by 12 inch size, is that the section on conservation, storage and display of these priceless artifacts is maddeningly short, only six pages. My curiosity screamed for more, more, more. After reading this book, one can only be grateful that it was Amanda Young who picked up this "ball" and made preserving our country's spacesuits her passion. Thought you knew about space suits? Read this! 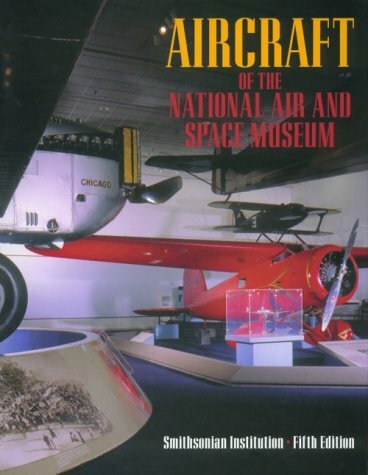 I bought this book at the gift shop of the Air & Space Museum in DC. Thumbing through it, I couldn't put it down. After going through the book much later, I feel I still made a good call buying it. 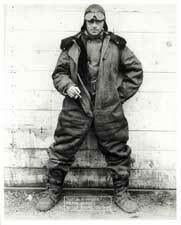 I'm well read on historic military aviation flight gear and thought I knew a passing amount about space suits. Oh, how wrong I was. This book made it clear how little the public really understands about the garments that carried men to the Moon. One example is a mention of the helmets on the Apollo suits. I had no idea that the helmets you see in the photos from the Moon are, in fact, covers with visors that went over the real pressure helmets and were all left on the Moon. I found the construction details fascinating. I never would have guessed that modern synthetics were used so much in the production of these suits, as well as the short lifespan intended. I was shocked to read how badly many of them have weathered the years since their use. The author does an admirable job explaining the fragile nature of these older suits and the problems with their preservation. The reader is left saddened at photographs of some components now completely dissolved and poorly preserved suits now permanently "flat" from lying on shelves for years. The book also has keen insight from Apollo 10 astronaut Tom Stafford, putting balance to what might have been dismissed as a simple artifact analysis. The only issues I would take up with the book would be there was little on how the suits were to wear. The author described some suits as "comfortable," which I doubt would be agreed with by the men who wore them. The timeframes involved also kept the author from going further into the details of the suits themselves. Going from the 1930s to the end of the Apollo era, the author has no chance to really delve into these suits. While I understand the side focus on experimental suits, I would think that most of the readers would rather focus on the production suits and their use. I was very disappointed that later spacesuits (especially the Space Shuttle flight and EVA suits) were not addressed at all. Perhaps NASA has yet to give the Smithsonian any of these newer suits to be able to address them, which would explain their absence from the book. Hopefully someday a book covering later suits will come out with this quality. In the end, I was left with an even greater appreciation of the priceless space suits I had seen at the Air & Space Museum on several occasions previously. Not only for their historical nature, I now better understand their construction, use and how fortunate we are that they were turned over for preservation to these fine people. While this book doesn't dissect each suit individually, it is an amazing overall study of space suits in what surely must be the most impressive achievement in human history. Their story deserved to be told and Amanda Young did an admirable job in this work. Updated Guide to Our Nation's Finest Air Museum! 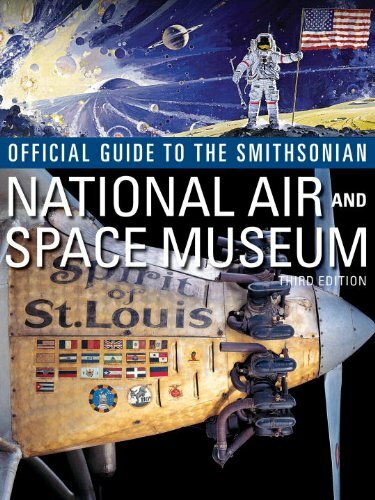 Author David Romanowski and Smithsonian Books offer up this 3rd edition of the OFFICIAL GUIDE TO THE SMITHSONIAN NATIONAL AIR AND SPACE MUSEUM. 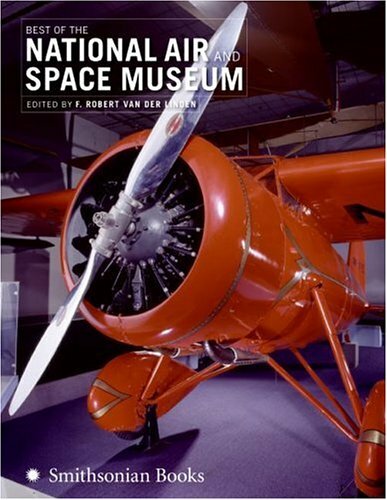 Published in 2009, it offers a colorful, entertaining and informative guide to the jewel that is NASM. Since 1976, over a quarter billion men, women and children have toured NASM. Hundreds of airplanes, space vehicles and artifacts are imaginatively displayed at NASM and the Udvar-Hazy Center, chronicling flight in America. Though I've never been to the latter facility, I did tour NASM recently and it's a wonderful treat whether you're an airplane nut or not. After a brief preface by current director John Dailey, Romanowski traces the history of NASM from its beginnings in the late 1800s to the present. He then takes a look at the Milestones of Flight Gallery and the various aviation and space galleries. The informative text is highlighted by dozens of gorgeous color photographs. The in-your-face close-ups are absoluely superb. Brown also details the Planetarium, IMAX Theater, Udvar-Hazy Center, etc. I wish Brown had included an index but that's just me. If you're planning a vacation to our nation's capital, save time for NASM. 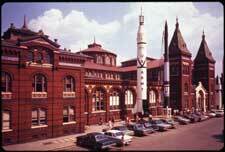 As revealed in Brown's book, it's a world-class museum with aviation/space wonders galore. 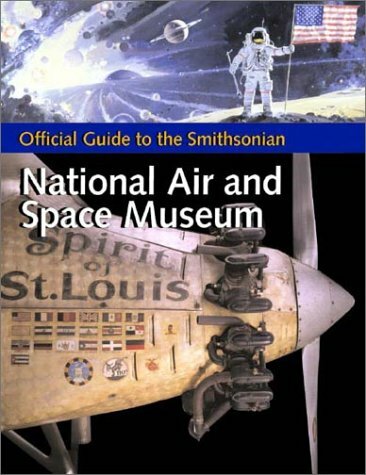 And let OFFICIAL GUIDE TO THE SMITHSONIAN NATIONAL AIR AND SPACE MUSEUM be your guide. Recommended. Three hundred spectacular views of Earth taken by the latest generation of satellites. For orbiting satellites, no place on Earth is isolated. The Himalayas are as easy to photograph as Manhattan. While satellite images are important for science and technical needs, they can also be appreciated for their astonishing beauty. Earth From Space shows how satellite imaging - also called remote sensing - works and showcases some of the most extraordinary photographs ever published. In the mid-1990s a new generation of satellites began to orbit the Earth. More powerful and accurate than ever, they can record the effects of human and natural forces, and how the planet is changing through time can be clearly seen. The book also dispels popular misconceptions like those used in Hollywood movies for dramatic effect such as exaggerated surveillance capabilities of orbiting satellites. However, what the satellites do see is nothing short of spectacular. Thisbookcould be useful as well as being "an eye catcher"
This should be a delight to look at as well as useful for all age groups as well as useful to geologists like myself and of course geographers. 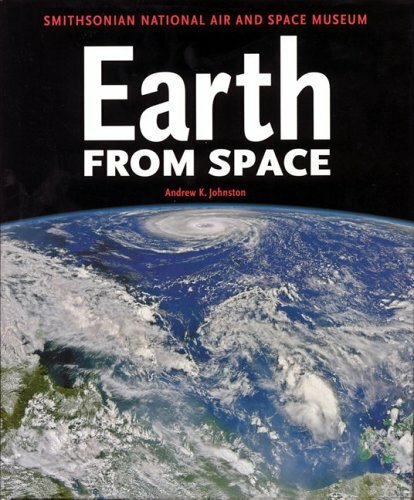 If you want a colorful, generalized book about the types of things remote sensing satellites can 'see' and 'detect' this is a book for you. The aerial photography is stunning and the commentary about the photos is well done, although too short and lacking in detail. As there is little 'depth', this is not a book for the academic-minded. It's niche seems to be as a 'coffee table' book, but unfortunately my copy came paperbound (instead of hardcover) so it makes a rather 'floppy' coffee-table package. I would have given 4-stars if the book were hardbound (even if it cost $4 more that way) but, as-is, I'd recommend the paperback edition only for the most budget-minded. However the price is very low and the color reproduction is excellent. It took about 10 days to delivery the book from US to Hong Kong. The delivery is quick. This collection of color satellite images is fascinating and awe inspiring. Dramatic images show weather phenomena like active hurricanes, forest fires and tornado paths. Rivers, oceans, lakes and deserts illustrate the varieties of our planet and other images show how man-made constructions have altered the earth. Especially distressing are images that show the effects of deforestation and oil spills. Cities like Paris and New York are featured as well as famous structures like the pyramids, Statue of Liberty, the Lake Pontchartrain Causeway in New Orleans and the Petronas Towers in Kuala Lumpur. City views alone would make a fascinating book - this volume shows aerial views of Paris, New York, Venice, San Francisco, San Diego, Pittsburg, Los Angeles and Las Vegas. One of the most memorable images is a photo of Earth taken at night showing city lights. Click on the images or captions below to open larger versions. 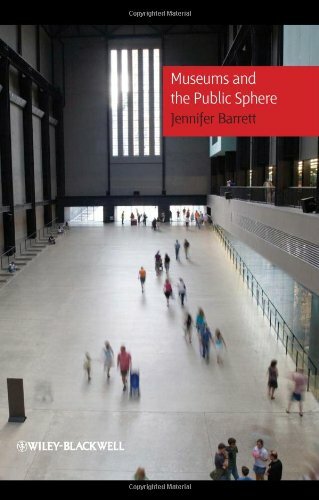 Museums and the Public Sphere investigates the role of museums around the world as sites of democratic public space. Originally an "adaquate" episode on TV (although you do get to see Boba Fett before the mask ).Mr. Jones adds creative characterization that is missing in the original.I compliment his taking of minor situations and characters and improving upon them.He even adds scenes that lighten the story. This is one of the Dr. Who novelizations that is far better than the original film. Based on (arguably) the blandest Doctor Who serial ever made, this novelisation starts off with a huge hurdle to leap before it can even hope to be worth reading. While the remainder of the book, as the Doctor, Ian, Barbara and Vicki try to avoid their fate of ending up on display, has some interesting elements, not the least of which is speculation about whether various possible actions will ensure or prevent heir supposed fate, it takes place in a fairly dull environment.The native Xerons are rising up against their conquerors, the Moroks, who have built the museum to display their triumphs in war (including the Daleks!A most unlikely claim - I'm sure they were included on the cover to make the book sell better). The Smithsonian National Air and Space Museum draws more visitors than any other museum in the world—90,000 a day in the summertime—and the highlight of summer 2007 at the NASM will be "Fly Now," the exhibit of air travel posters featured in this unique companion volume which combines arresting, colorful art, rare archival material, and a unique approach to aeronautical history. 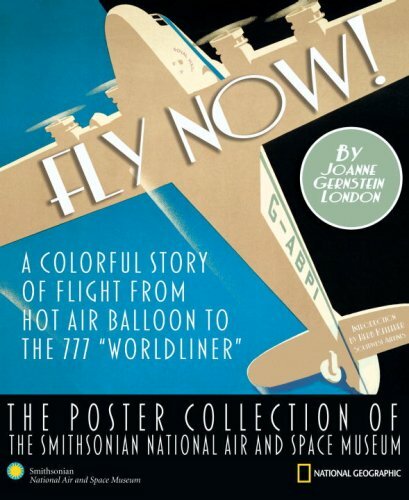 The posters—most of them never before published—feature barnstormers, gliders, and flying boats; the earliest passenger flights, the first luxury-liners, mail carriers, jets, and much more. Spanning a century and a half, they combine the popular art and the commerce of their eras, with both explored in the entertaining, informative text by a longstanding National Air and Space Museum curator. From 19th-century circus impresarios offering rides in gaudy hot-air balloons to the sleek 21st-century airliners, they offer a fascinating illustrated history of flight as it evolved from an exotic realm inhabited only by visionaries and daredevils into our modern world of speedy jets and frequent flyers—no longer extraordinary, perhaps, but still echoing with the exhilarating thrill and glamorous excitement captured here. Great posters throughout, that is without a doubt. However, the writing is largely about the industry, not the posters, which baffles me. The biggest downer is the fact that there are NO ARTIST CREDITS. Not in the index, nowhere! Where are they? 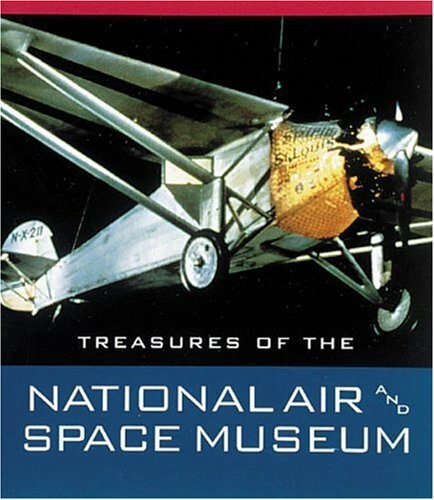 I saw this book at the Smithsonian National Air and Space museum gift shop but didn't buy it at the time. Kind of pricey there, but I found it for cheap from an Amazon seller. It's a nice selection of posters from 18th Century balloons to the 1980's in the Smithsonian's collection. However, if you're a serious fan of nostalia, or retro graphics, I'd suggest both "Looping the Loop - Posters of Flight (Villard & Allen) and The Art of the Airways (Szurovy). I said "both" because the books aren't redundant. The first is more about (largely European) poster art through WW2, and the second focuses on Airline promotional posters from the "teens" through the '90's. Wowthis book was a major disappointment! The selection of posters is really poor compared to others on this subject. As an avid collector of aviation art and as an artist myselfgive this book a miss. A poor design, bad editing, and incredibly lackluster. A purchase I regret making. The writer seems content in believing that her words are more important than the very subject she's supposed to be covering - Airline Posters. What's with the 3rd grade point size? Are we all that far-sighted that we need 18 point text to deliver the message? Some of the nicest images - and there aren't nearly enough - are reduced to the point of being worthless. Or worse - they're enlarged so big that they're cropped. What? Is centering that difficult a concept for The Smithsonian? And explain why one would double-page through the gutter? Fully one-fifth of the image is stuck in between the binding! Virtually worthless. The only saving grace is that there are a handful of nice images that are: Centered, not cropped, not cluttered or crowded off the page with text, and of decent quality. But not nearly enough to justify the purchase price. I wonder how good this could have been had Chronicle Books handled the book? I've been a fan of vintage flying and travel posters for many years.This book is one of the best I've seen.There is a poster on every page describing a little about each one.Some of I've seen before, but most I've never seen before.The printing and colors in the book are very well done. Big Words from Little Mouths! Better than one hundred rolls of film. 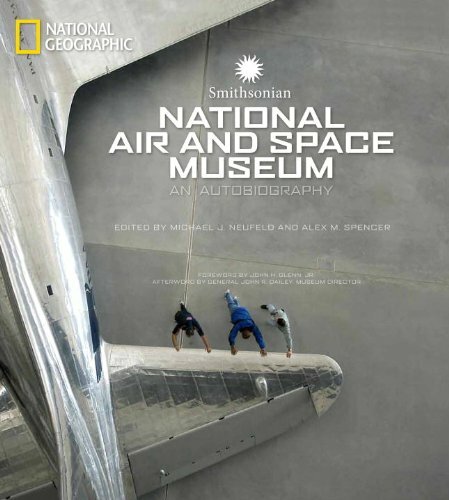 "Treasures of the National Air and Space Museum" beautifully capture the best this vibrant museum has to offer.The 300 illustrations are an homage to aviation history:the famous aircraft, experimentalvehicles and the obscure vessels.The illustrations include the Spirit ofSt. 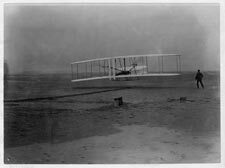 Louis, the Wright Flyer, Mercury and Apollo backup spacecraft,representative cutting edge aircraft for their time, and a host of otherwonderful photographs. The museum also owns an impressive collection ofaviation-related art which this book also includes. 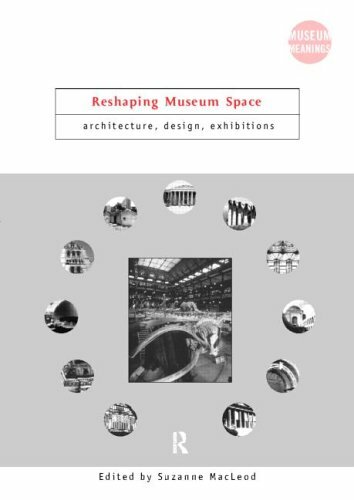 Reshaping Museum Space pulls together the views of an international group of museum professionals, architects, designers and academics highlights the complexity, significance and malleability of museum space, and provides reflections upon recent developments in museum architecture and exhibition design.